Educational Travels: How to Handle Information Isolation in Armenia? The director of the library Tigran Zargaryan responded to the article “Workers of National Library are Fired Because Of Their Disability” published in our page. According to him he hasn’t signed any dismissal order. “Since July 2011 till now, when I have been the director of the library, I have never given a dismissal order as a director. Probably the information was misunderstood or it is the result of someone’s imagination. I officially declare that nothing like that has happened”. According to our information, the workers faced such problem because of the notice “unable to work” and “needs a caretaker” in their disability documents. One of the workers edited her document about disability and according to her escaped from the problem. The other worker from the HR department Rita Natanyan was made to write a resignation letter. Rita Natanyan has written a letter about her problem to the minister of Labor and Social Affairs of RA. 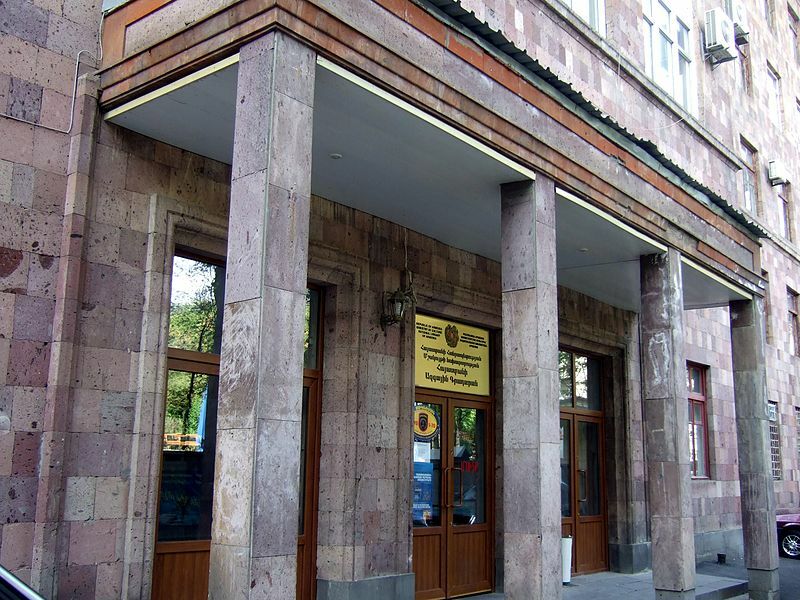 The chief of the labor department of the ministry Varazdat Danielyan during the interview with us mentioned, “The person wrote a letter to the minister of Labor and Social Affairs of RA and the ministry gave an explanation, that dear citizen, you are fired not because of your disability, but on the basis of the conclusion of socio-medical examination. In the notice of medical conclusion is written “unable to work”. She misinforms people, her rights have not been violated”. In the answer to our question, why they took this condition into consideration now, although the conclusion was made long before and for an indefinite period of time, Mr. Danielyan answered, “You know what? We enter a sphere which is neither our competency nor yours. This is employer’s right. We only gave an explanation that this is your right, and this – employer’s. The employer has a right to fire a worker on the basis of socio-medical examination, according to the Article 120 of Labor Code. This is only employer’s decision. We didn’t contact him; they neither applied to us nor asked for an opinion”. 3rd point of the Article 120 of RA Labor Code states “The consistency of the professional capacities of the employee with the position held or work conducted is evaluated by the employer, while the consistency of the state of health is defined on the basis of the medical conclusion”. According to Varazdat Danielyan, the employer has right to fire person or not to hire a person only on the basis of the medical conclusion. We can only mention the following: it’s not enough that they demand medical conclusion from a person for hiring or for not losing a job, which is a real expression of discrimination on the legislative level, moreover, official bodies consider this fact to be normal and acceptable. It’s obvious that some changes should be made in the Code, and these examples prove that this kind of medical conclusions do not protect and ensure person’s rights, vice versa, they just limit them. Finally, human destinies are hidden behind bureaucratic conclusions. * In case of finding spelling mistakes in the post text, please select the necessary word or sentence and press Shift + Enter to send. The website was developed within the framework of Alternative Resources in Media (ARM) Program. The Program is made possible by the support of the American People through the United States Agency for International Development (USAID). The contents are the sole responsibility of the authors and do not necessarily reflect the views of USAID or the United States Government. When copying, fully or partially using the articles and photos of the website, the link to www.disabilityinfo.am is required.